It is rarely said, but post-traumatic stress disorder can turn you into a horrible and lonely person. The old name "shell shock” is strangely fitting because that is exactly how it makes you feel. Strong, vibrant men and women become like a soft, anxious, wobbly and fearful thing surrounded by a hard shell of anger that can erupt at any moment. And instead of seeking out others in the same position who know how you feel, you want to be by yourself crouched inside, afraid and seething at the same time. That may seem like a harsh description to someone not touched by PTSD but to those of you who suffer from it…you know better. It’s not too hard to understand that traumatic life-threatening events often leave emotional scars that can remain with someone for the rest of their lives. Although we all go through a healing period following trauma, for some, the emotional scars are so deep and wide that they never seem to heal completely. People who suffer from PTSD will tell me that they didn’t break down instantly. It took some time before they had the first dream where they woke up, safe in bed, but drenched in sweat, scared to go back to sleep. They often say that they are a mess, incredibly irritable, and can fly off the handle at the slightest thing. They tell me that they have stopped enjoying life and just spent whole days doing nothing. Just eating and sleeping becomes their entire day. How can you enjoy life when you never feel safe and often can’t bear to be around other people or crowds. Staying alive and safe becomes a full time job. Fortunately, there is hope...now there is Restore! The Restore Ultra-Rapid Infusion is the most advanced formulation of ketamine therapy available today and is clinically proven to provide rapid relief and remission from severe PTSD and Anxiety. Better than that, Restore is more effective and relief can last 3 times longer than other with ketamine infusions. Best of all, you can begin to have relief in just minutes after the very first infusion. If you've suffered with PTSD or Anxiety and almost given up hope of finding relief, now there is hope! It almost sounds too good to be true, but the number of people receiving Restore is growing rapidly. 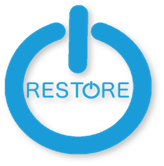 Today, almost 16 years after the breakthrough discovery at Yale, Restore is finally reaching the people who need it most. Is the Restore Ultra-Rapid Infusion right for me? The best chance for rapid relief from PTSD and Anxiety is from the most advanced and effective treatment available. Restore Infusion Therapy is more effective and longer lasting than the standard ketamine infusion, so you have the best chances of getting better. 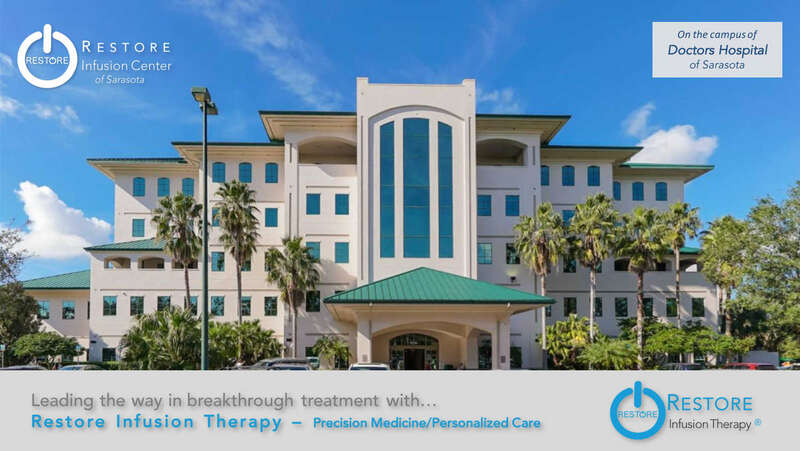 If you suffer from PTAS or Anxiety and have not had relief with prescription medication or other traditional treatment modalities, then Restore Ultra-Rapid Infusion therapy may be an option for you. With Restore, improvement can be seen within just hours and you only need 3 infusions over just 3 days. So you can begin treatment on Friday and be back at home on Sunday. The fact that Restore is longer lasting than other infusions means that you only need 2 or 3 maintenance infusions to keep feeling better. 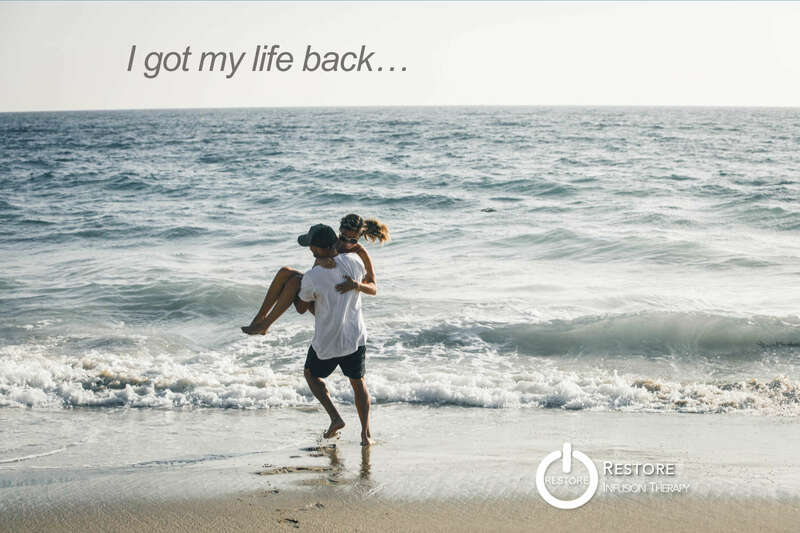 And Restore is individually formulated and customized to your unique circumstances and conditions so you know that you will receive the best possible treatment that’s right for you. We are happy to provide you with an initial consultation to see if Restore Ultra-Rapid Infusion therapy is right for you. Just call us today! At the Ketamine Institute, we have spent more than 15 years researching and developing ways to enhance the effects of ketamine to make it even better and to last longer that the standard infusion. We have been able to achieve those goals by combining cutting edge research and innovations in the fields of Anesthesiology, Neuropharmacology and Neurocognition to develop the Restore Ultra-Rapid Infusion. Now, we have the ability to help even more people achieve greater, longer lasting relief from chronic pain and depression with the most advanced formulation of ketamine available today! Consult with our experienced team to determine if Restore is right for you. Call us today or submit this request for a confidential consultation.